India’s largest crowdfunding site. Over Rs.546 Crores raised. India could send only nineteen (19) participants for 2016 Paralympics in RIO. But, surveys show country's disabled population has increased by 22.4% between 2001 and 2011. The number of disabled, which was 2.19 crore in 2001, rose in 2011 to 2.68 crore—1.5 crore males and 1.18 crore females. Among them persons with physical disabilities are more in number because of accidents. All 19 Indian participants took part in athletics. India could not send not even ONE team to participate in any Paralympic TEAM event. There is very minimum support from Family, Society, Government, corporate and Paralympic committees to promote Paralympic team games in India. In this background, Wheelchair Basketball Federation of India WBFI a registered National body working to support WCBB sport in India is struggling to mobilise funds to send first ever team from India to participate in U23 qualifying match for world championship, which is to be held in Bangkok in January 2017. 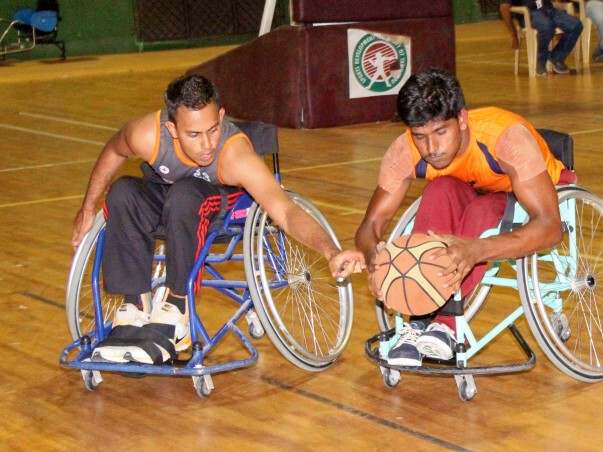 Your kind help will make history in India’s Paralympic sports. First Indian team will get an opportunity to participate in U23 AOZ qualifying match to be held in Bangkok from 21st to 28th January, 2017.